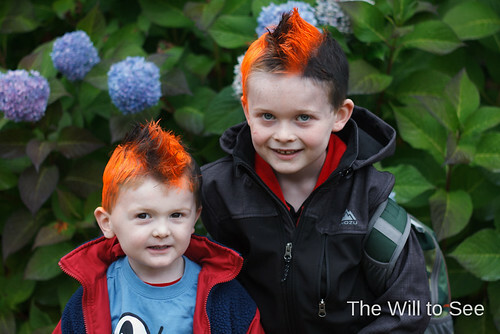 As part of Spirit Week (the lead up to the annual Halloween Bash) at Jack’s school, Thursday was crazy hair day. Jack opted for a orange and black Mohawk to not only celebrate Halloween but also show our support for the San Francisco Giants playing in the World Series. Will naturally wanted exactly what his brother had and was the hit at preschool. Go Giants!